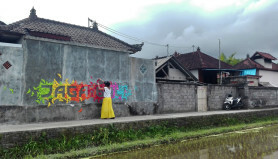 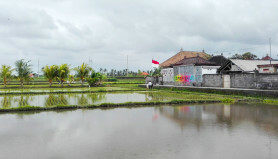 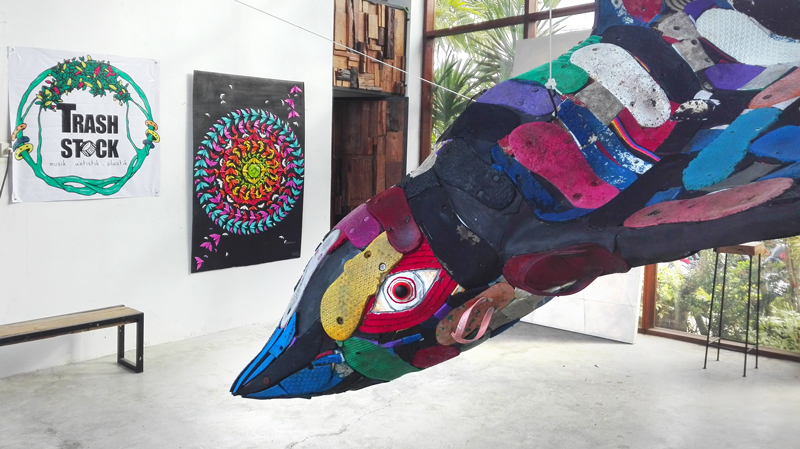 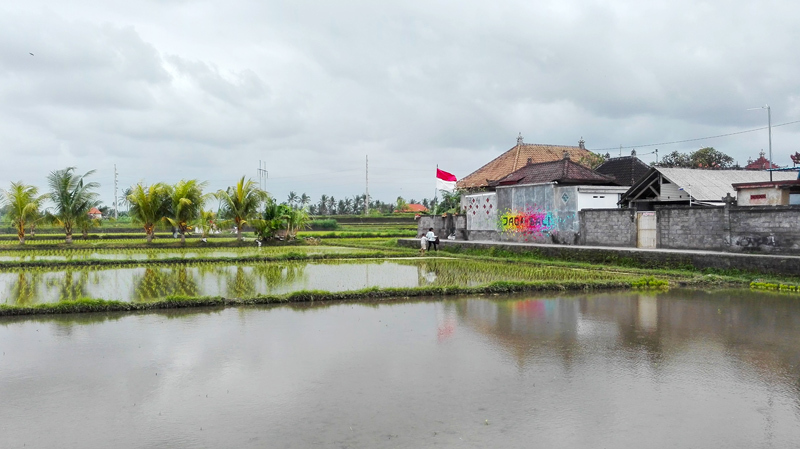 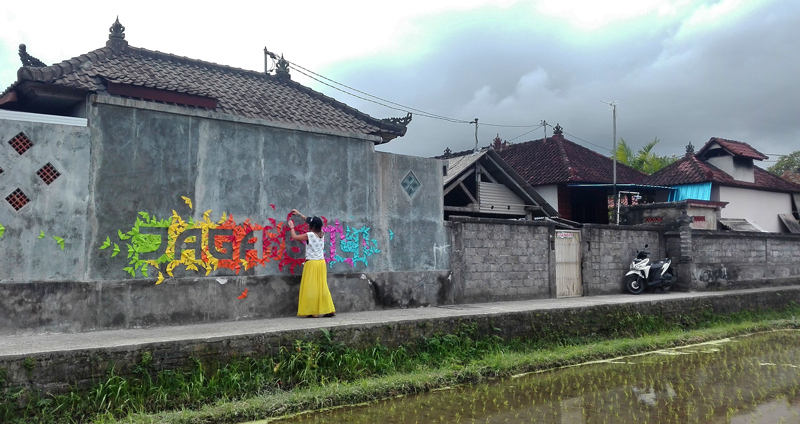 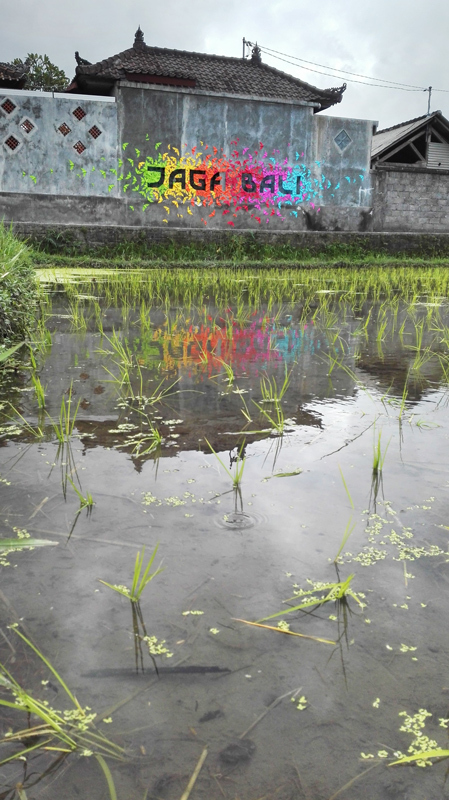 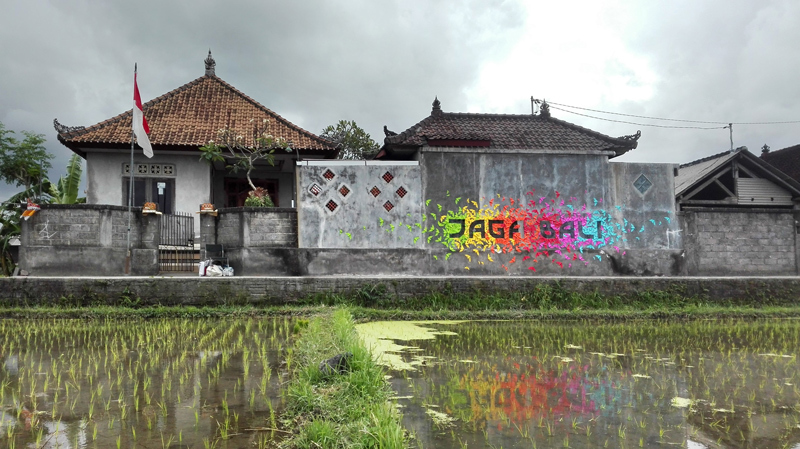 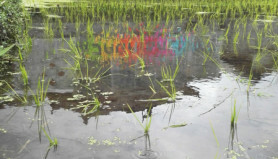 – The second “Bali is not for sale and not for plastic” for an indoor exhibition as part of the festival. 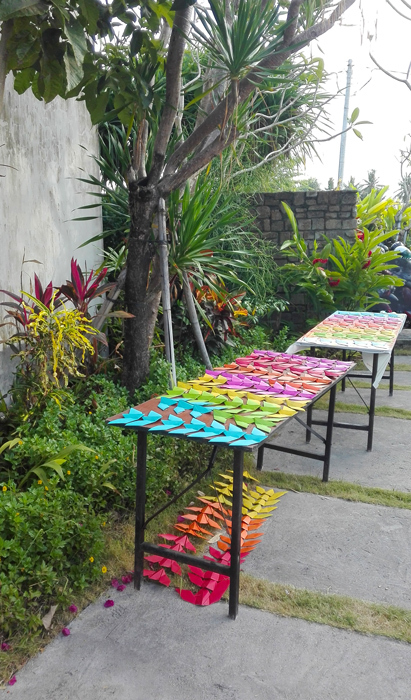 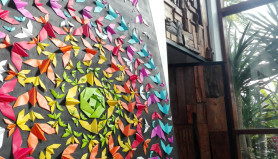 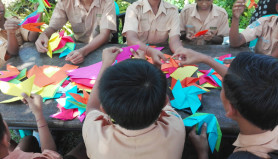 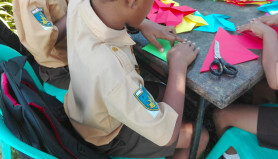 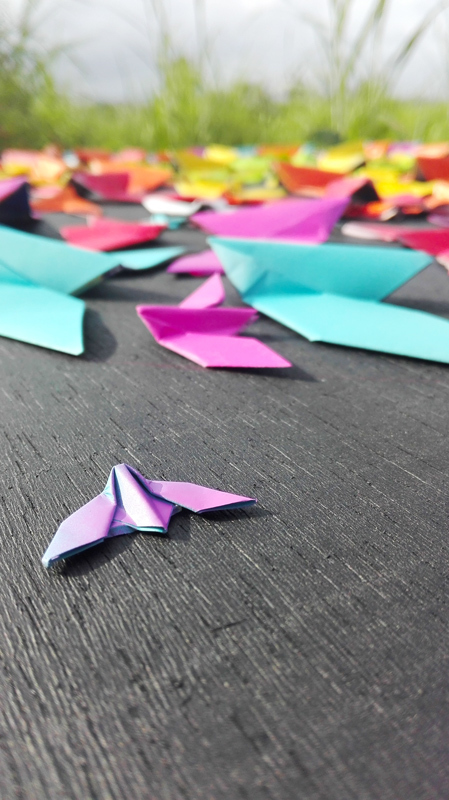 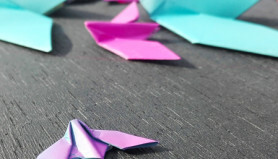 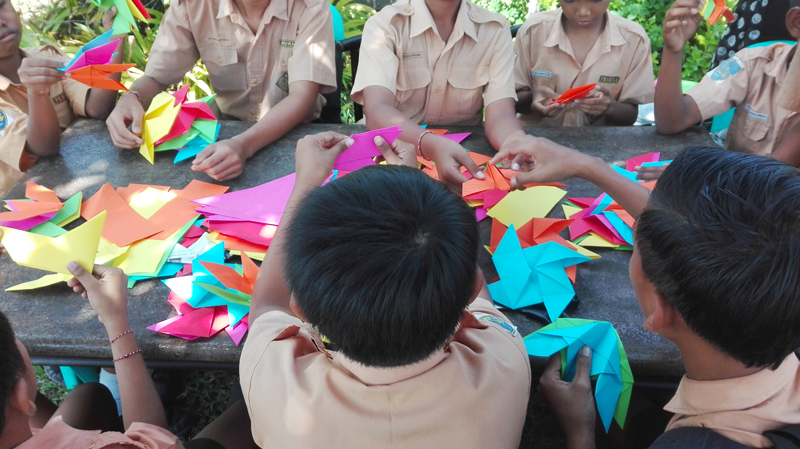 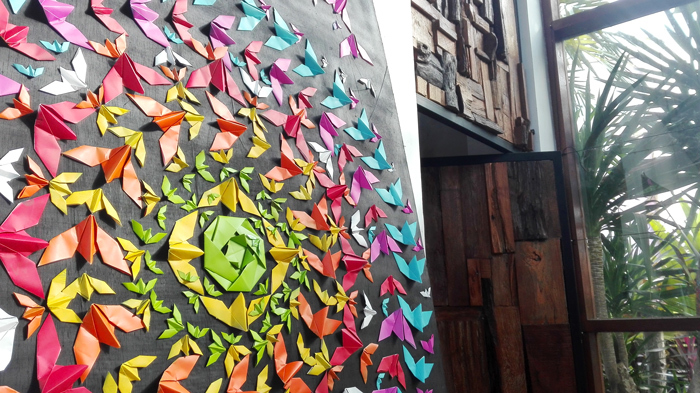 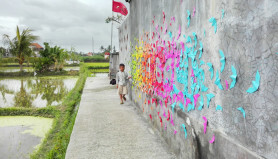 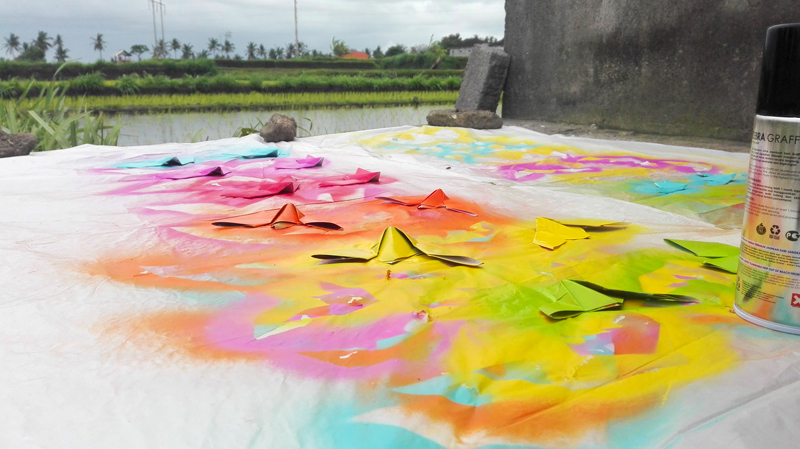 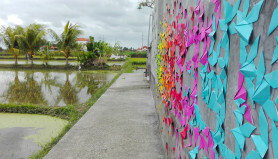 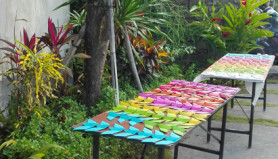 In addition to the two works, an origami workshop was offered in schools in Bali for two days. 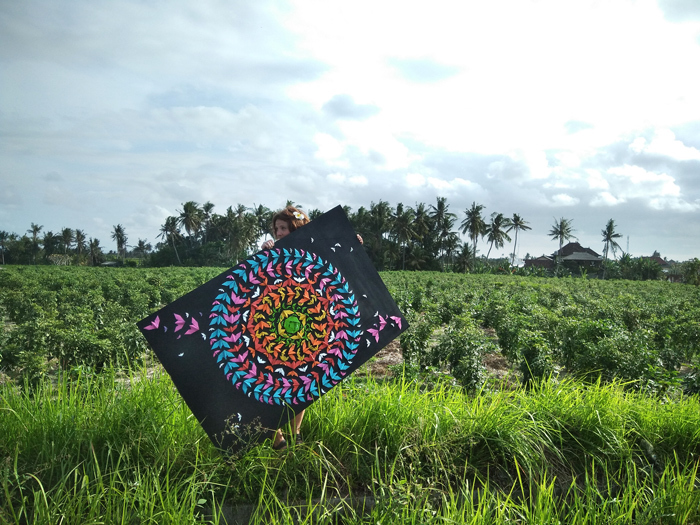 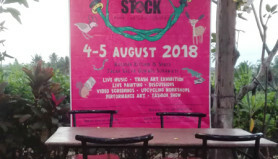 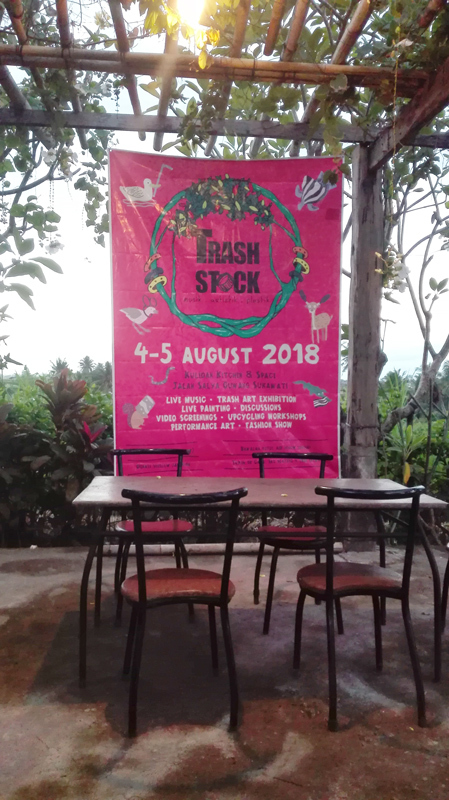 The artist particularly thanks Séphora Tan and the whole team of the French Institute for his invitation, as well as the Trash Stock Bali festival team for their welcome and their follow-up. 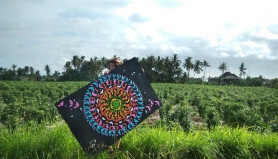 Thanks also to Snez for his support on this project and to Diah for the photo of the artist in front of his work.